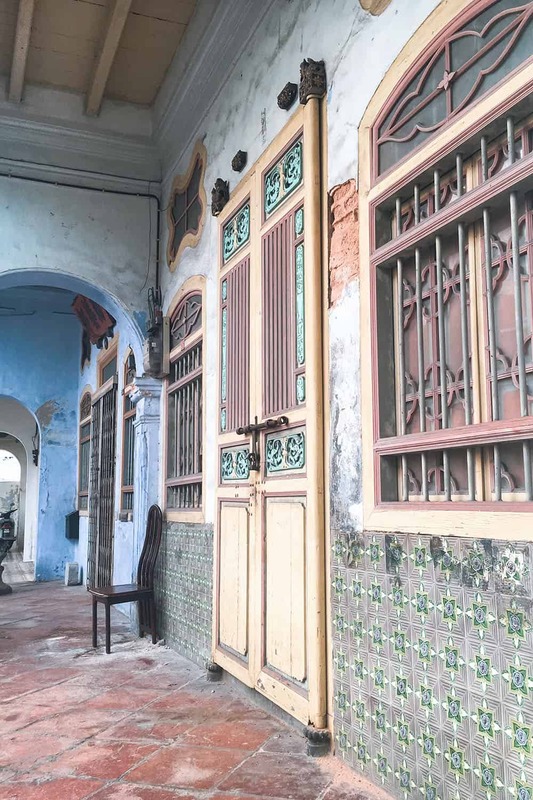 Penang has to be one of my favourite destinations in South East Asia, and I believe that this tropical island is totally underrated and deserves more recognition. 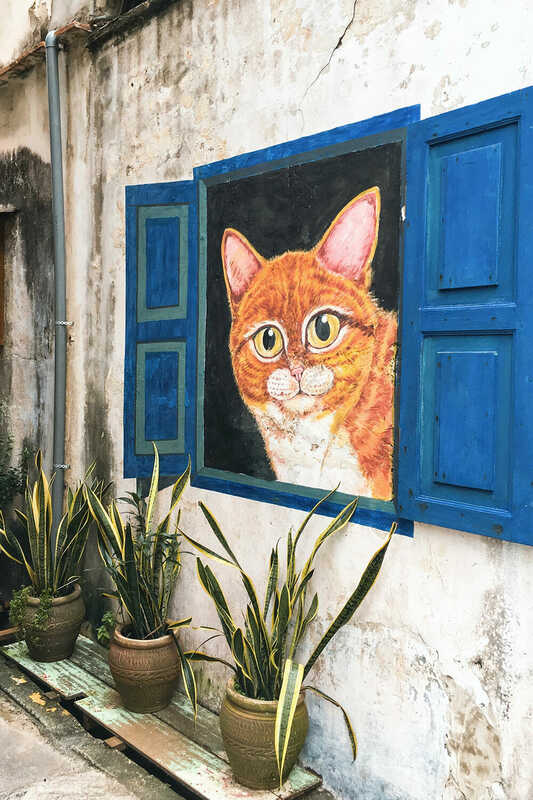 Located off the west coast of Malaysia, at the crossroads of Eastern and Western trade routes, the island of Penang is a melting pot of cultures with Malay, Chinese, Indian and British influence. This mix of cultures has resulted in the most unique heritage, food and architecture in the UNESCO World Heritage Site that is the city of George Town. 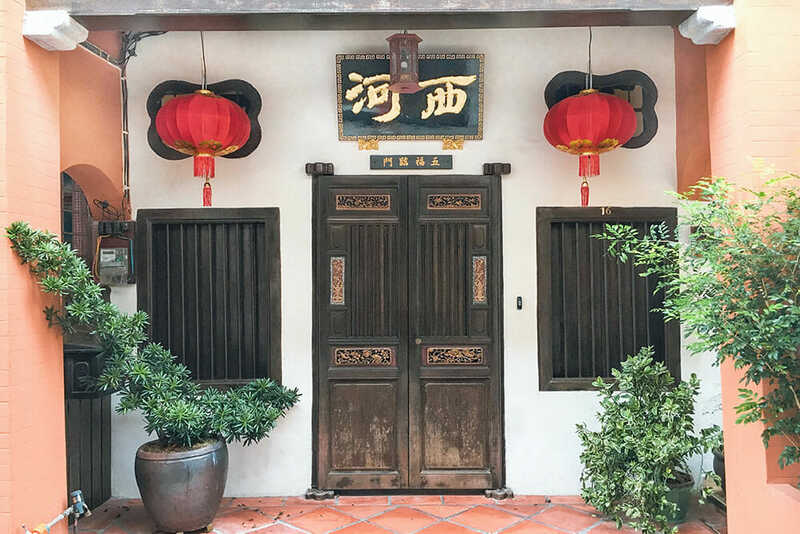 Traditional temples, homes, hotels and shophouses mingle with modern buildings, and you can feel like you’re in India one moment, cross the road and you feel like you have travelled to China. 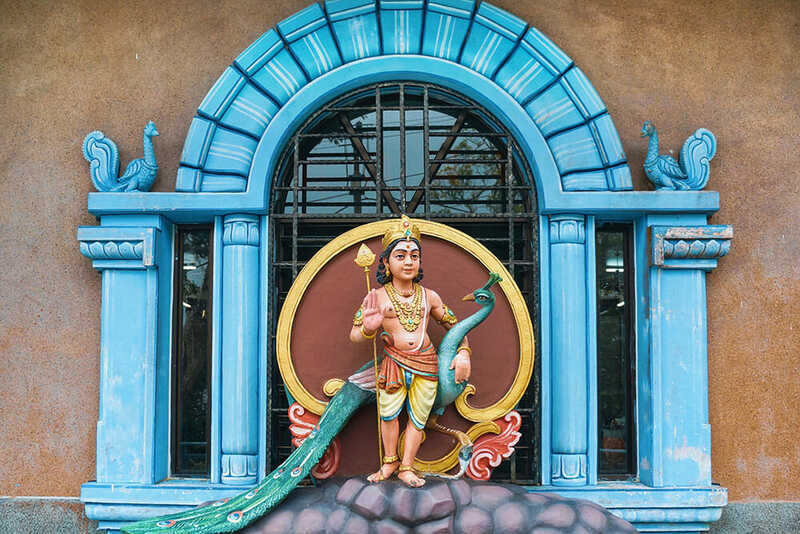 In this post, I am taking a stroll through the streets of George Town, and celebrating the quirkiness and diversity of this multiculturalism and how it is reflected on the local architecture. Are you a fan of cute houses? Some of the colours are just so charming! I think this is my favourite! Or maybe this one… I love them all! 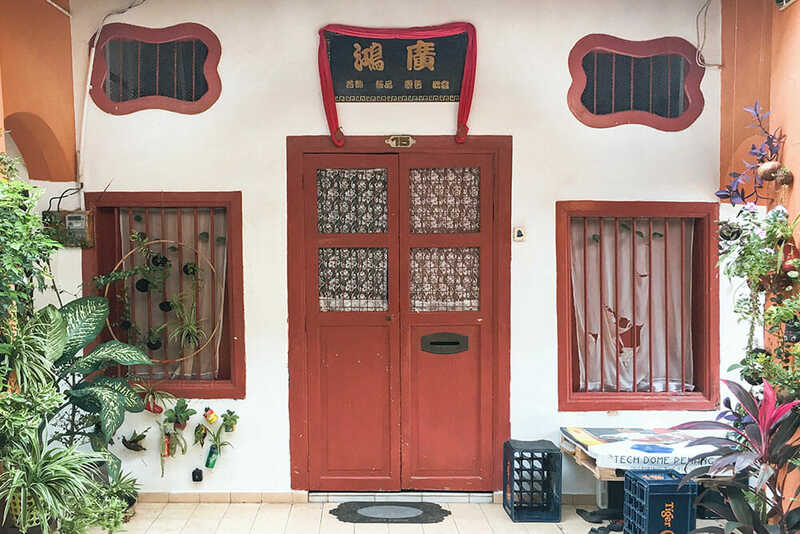 But it’s not just the cute little shophouses of George Town that show the island’s multiculturalism. This diversity means that there are places of worship that serve the different faiths that harmoniously live in the island. 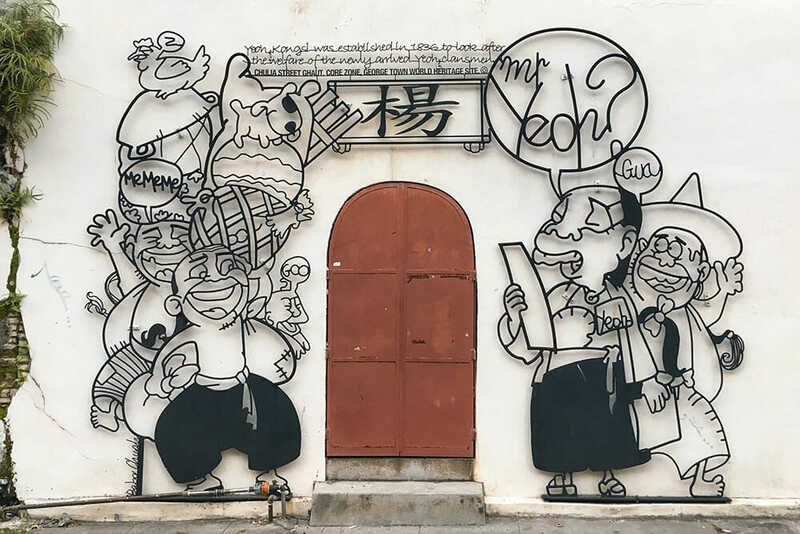 Penang is also well known for its street art. 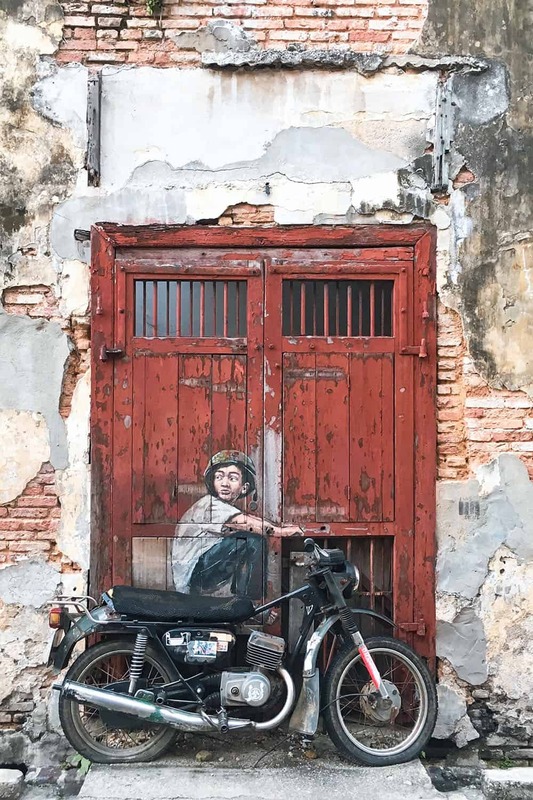 The last few years have seen a resurgence that was kicked off in 2012 by the municipal council, who commissioned Lithuanian artist Ernest Zacharevic to bring a new lease of life to the streets of George Town. 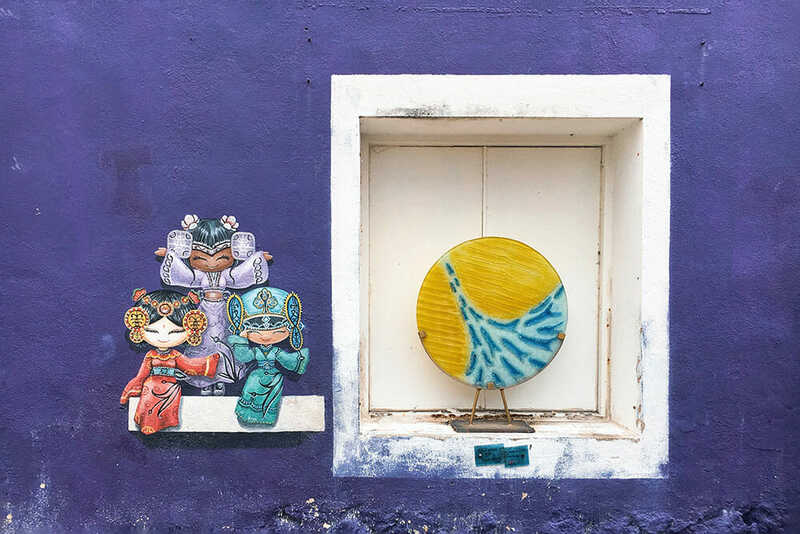 This art plays with objects and architectural features, so here are couple more doors and windows that have been enhanced by street artists. But if you don’t have a window, just paint one! So tell me: Have you been to Penang? Which style of doors and windows is your favourite? Airbnb – Here’s £25 off your first booking with Airbnb. Check out Booking.com for the best hotel deals. Or how about house sitting as an alternative stay? Join TrustedHousesitters.com and get 20% off membership. Disclosure: This post contains affiliate links, that earn me a small commission but come at no extra cost to you. Thanks as always for your support! hi Teresa, lovely heritage architecture. Penang is where my mother comes from and where food is simply yummy! I’m totally obsessed with unique doors! 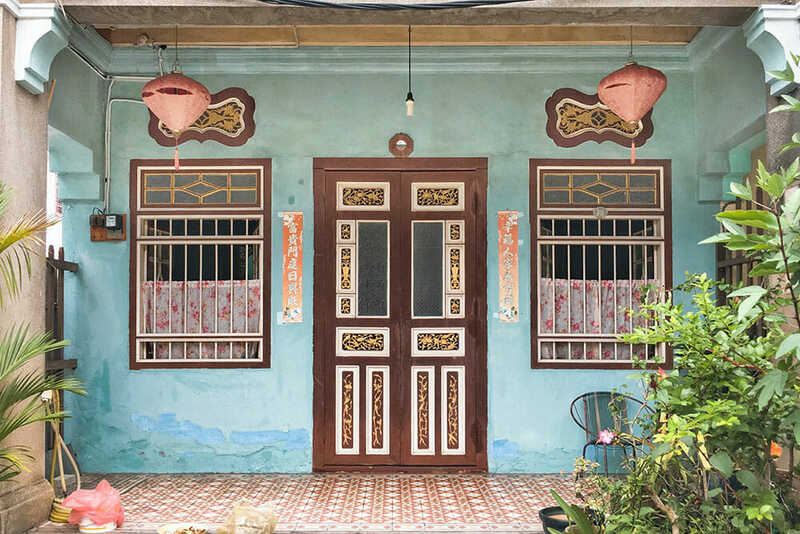 Penang has so many creative and stunning doors! Your photos bring them to life! Not only are the doors beautiful but I love the creativity and the artwork in some. We were in Malaysia a few months back but we did not have time to visit Penang. I think we will make a trip there soon enough. There is so much left to see in the country! Thanks Micaela! 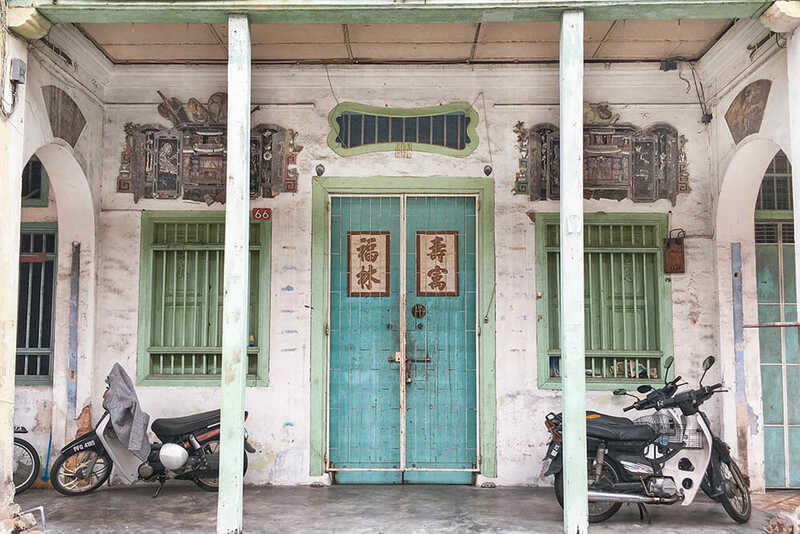 Penang is definitely worth the trek up to the north of the country. And the street food is just delicious too! These are a lovely selection 🙂 I do love doors myself, but I’m rubbish at taking good photos of them. Can’t believe how beautiful it is there!! 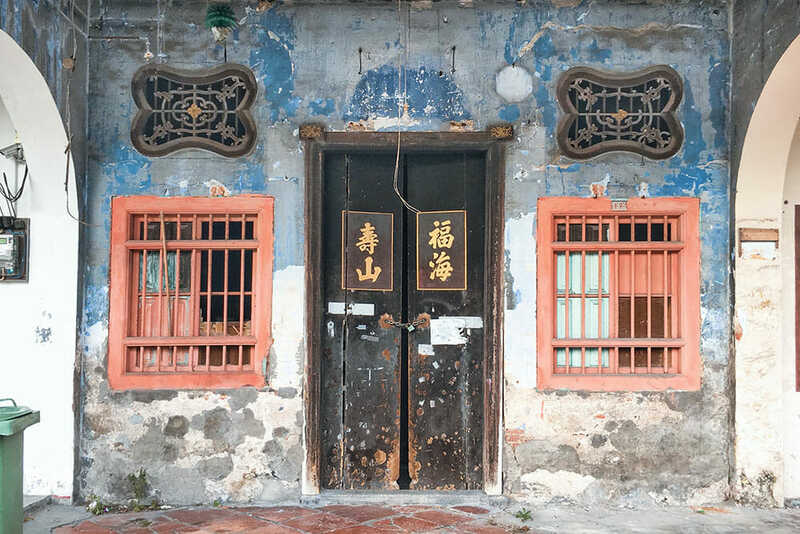 I see so many stunning pictures of the street art in Penang but seems like everyone is just walking past these doors! Really good pictures as well. Would love to go there! What a lovely collection. You have many there that I haven’t seen, despite many mornings mooching around Georgetown. Did you keep a list of the street names? Very nice indeed. Love your work. Being a Penangite myself, the city is full of flavors. Cheers! I love this! All of these entryway look so warm and inviting. I lived and went to college..Dental School in Penang. The island is a hidden gem. Thank you for your high lights on their unique door decors/designs..a direct reflection on multiculturalism of the people.. Love it! What a great idea to feature some beautiful doors. They all look very cool! Not a typical travel post and I love it! Hopefully I get to visit Malaysia soon. This is such a cool idea! Really good pictures! What a fun post! I love all the colors and architecture. It’s fun to see the different doors, windows and of course, the paint color! What’s fascinating to me is that many call this art and others would say it’s nothing. I totally love this post! 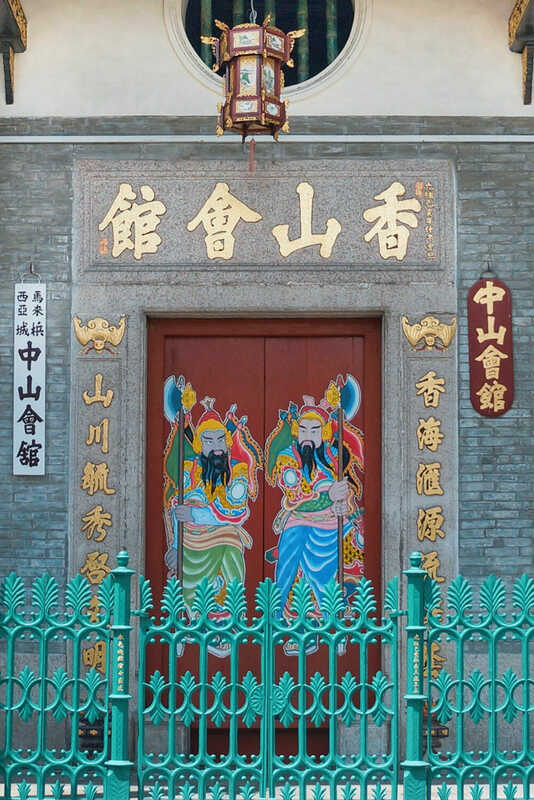 The Chinese and Western influence is very evident in the architecture. Isn’t it just amazing how different cultures can influence architectural styles? George Town looks like a great place to explore. I can already see myself being mesmerized by all these lovely colors and styles, for hours. Totally adding this to my list! Thanks! You have a great eye for style. A lot of these awesome doors and windows would go unnoticed if you weren’t keeping an eye out. It is interesting once you start noticing something how you can find some cool stuff. I like the colour and design of these places. It is interesting how some look Chinese and others Indian. Wow, these are some amazing doors and wall art! I wished I paid more attention to these because some of them are very vibrant and intricate! Maybe will be keeping more of an eye out for them. Damn, those are some good doors! Gorgeous photography too. 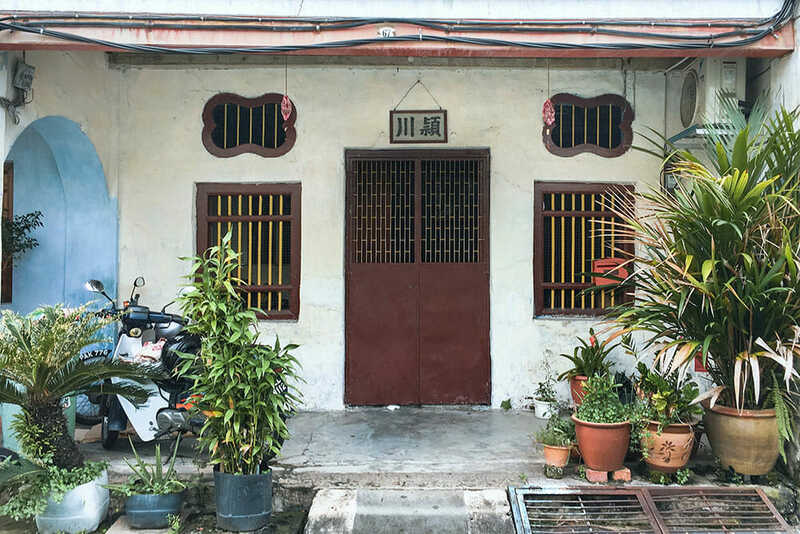 I went to Penang about 13 years ago, before my door obsession materialised. This has made me want to go back!